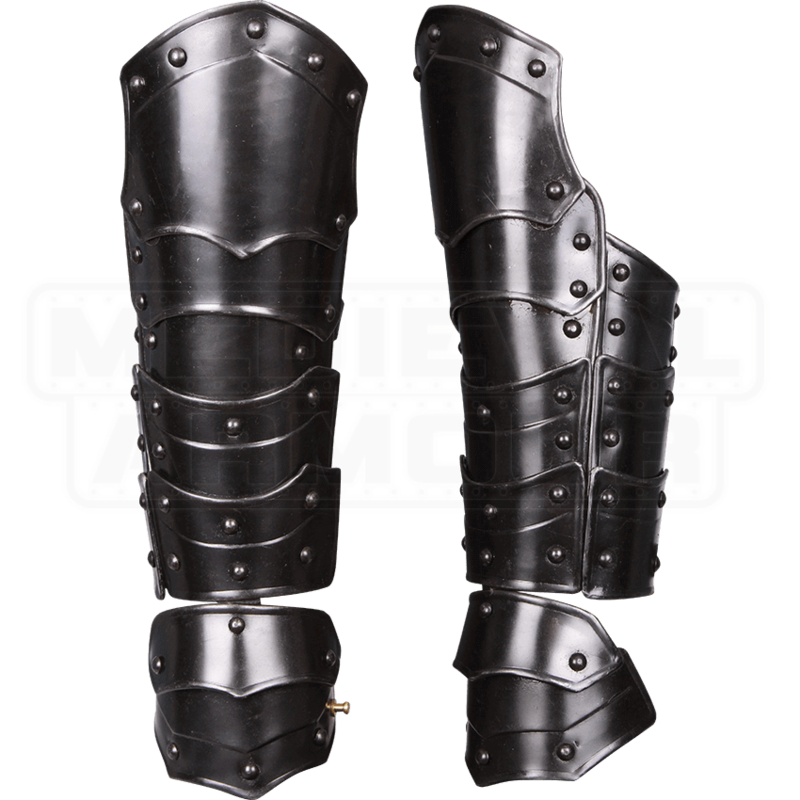 Offering a practical design that looks quite striking, the Blackened Vladimir Bracers are ideal for your next LARP battle. The steel bracers are composed of multiple curved metal segments including integrated hand and elbow pieces. 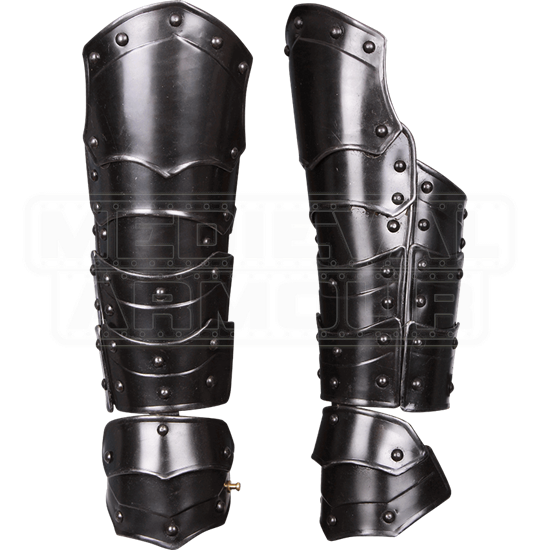 Decorative rivets and a dark metal finish ensure that the arm armour suits mercenaries and other medieval rogue characters perfectly. A metal plate helps protect the underarm of the wearer, while two buckles fasten the steel armour securely. The medieval armour is designed so that it will hardly hinder movement. 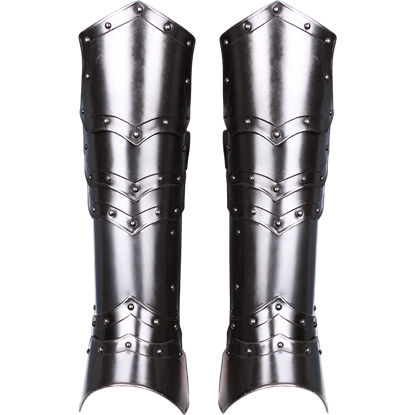 We recommend wearing padded arming wear beneath the plate armour to increase comfort. Be sure to check out our other Vladimir-style armour when preparing for your next LARP event or re-enactment. Protect your mobility by making the Blackened Vladimir Greaves a regular part of your medieval warrior ensemble. The steel greaves are composed of multiple curved metal segments, including a piece that can be closed around the calf.